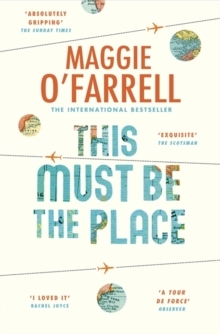 A Sunday Times bestseller, the dazzling new novel from Costa Novel Award-winner Maggie O’Farrell THIS MUST BE THE PLACE crosses time zones and continents to reveal an extraordinary portrait of a marriage. ‘A tour de force…her best novel to date, a book that surely confirms her as one of the UK’s most assured, accomplished and inventive storytellers’ Observer ‘A symphony of stories and voices…absolutely gripping’ Sunday Times ‘Inventive, moving and hilarious. I loved it’ Rachel Joyce Meet Daniel Sullivan, a man with a complicated life. A New Yorker living in the wilds of Ireland, he has children he never sees in California, a father he loathes in Brooklyn and a wife, Claudette, who is a reclusive ex-film star given to shooting at anyone who ventures up their driveway. He is also about to find out something about a woman he lost touch with twenty years ago, and this discovery will send him off-course, far away from wife and home. Will his love for Claudette be enough to bring him back?